The Good: Jake Gyllenhaal does a great job with his character, "Lou". He really makes you believe that his character is truly disconnected from the normal world. So much so, that some scenes may make you feel slightly uncomfortable the more you realize just how strange "Lou" really is. His overall development is probably the main thing that will keep you interested. Another highlight is the moral ambiguity that the movie tries to press. Was "Lou" wrong for recording "news" the way he did or was it just part of the business? The Bad: Outside of Jake's character, there really isn't very much to help this movie stay interesting. From the supporting actors to the plot itself, there's just nothing else to really keep you actively engaged. So if you are disinterested in his character, you pretty much have very little reason to continue watching the film altogether. The Reason: I think that despite some really good acting from Gyllenhaal, this movie just isn't worth your money this weekend. I honestly don't think that many people will want to rent it either. But for movie enthusiasts, who appreciate good acting and a dark suspense genre, this may be something you simply add to your iTunes queue in the far future. Save your money for now. 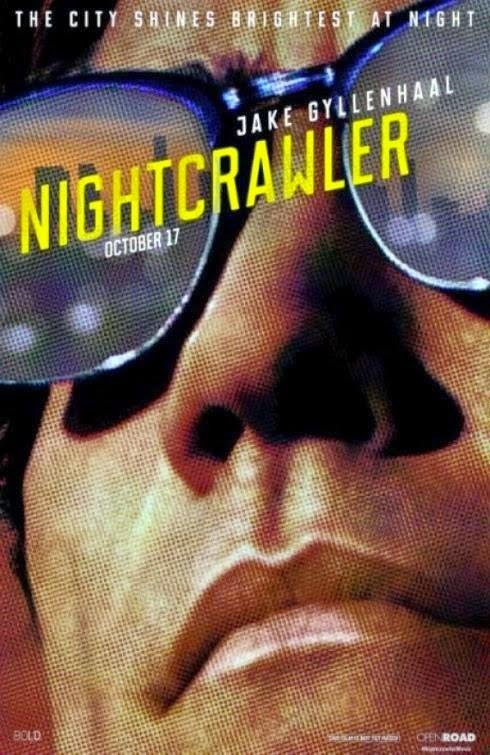 The Good: Forest Whitaker plays the "crazy" role fairly well. 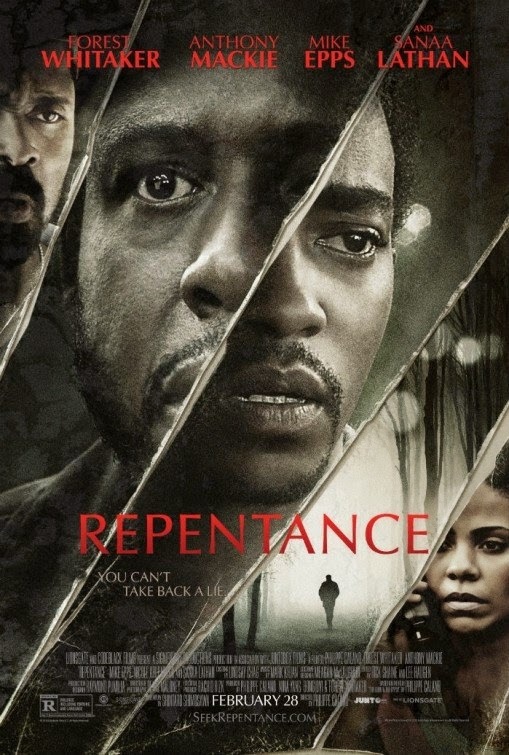 The Bad: The writing, the directing, the acting, the story line, Anthony Mackie, Mike Epps's New Orleans accent, and so much more. The Reason: This movie was an embarrassment to "black movies" and probably the reason why they get stereotyped in Hollywood as not being successful. It was almost like all of the actors in the movie had a meeting and agreed to collectively dumb down their acting skills. Sanaa Lathan disappointed because her character was flat and didn't really demand much acting talent. (Sanaa can and has done much better.) Anthony Mackie proves once again that he's not ready to carry a movie as the lead actor. He just simply over acts his parts. (See Crossover... no wait, don't go see that.) There are so many parts in this movie that simply don't make sense, or are so easily predictable, that you'll probably prefer to schedule root canal before watching this movie. I strongly suggest avoiding this movie, and if it comes up your Netflix recommendations, feel free to write a very angry letter to Netflix for polluting your queue with garbage. The Good: Action galore. One of the best things about this movie is the gun fights. Keanu Reeves does a great job at showing us a rather unique fighting style of close combat gun fighting. He uses a gun almost how a martial artist uses their hands. It's really entertaining to watch. Which leads to the next point about the fighting choreography. In a weird sense, it almost looks unscripted and lends itself to seem a little more realistic. When you pair the fighting choreography up with the MANY bloody, fatal gun shots, you've got an interesting recipe for a gun toting action flick. Also, there's a splash of humor throughout the film that will get you to chuckle a few times. The Bad: The story was kind of basic. You've seen it in the trailer so there's nothing much to build on beyond them killing his dog from his dead wife. (Trust me, that's no spoiler) While the action is great for the majority of the film, the ending is pretty blah. The Reason: Keanu is back! 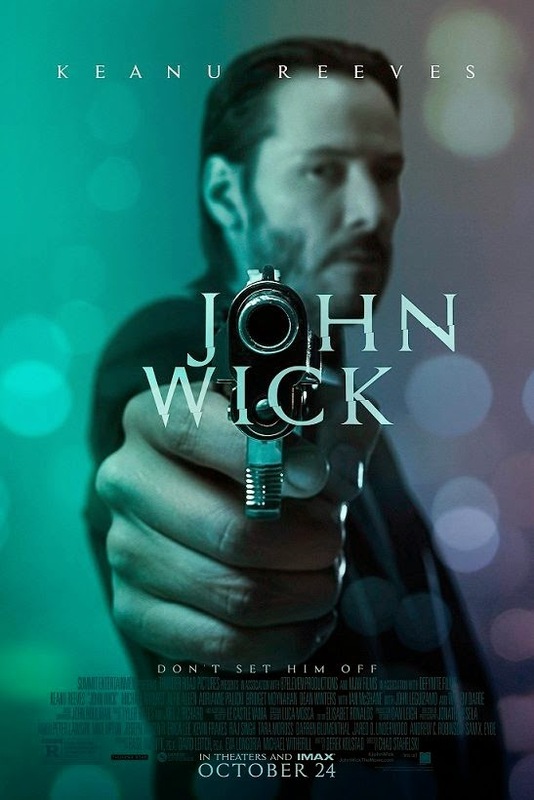 This was a good movie for him to do, even though he still comes off as a grumpy Neo from The Matrix. This was an enjoyable movie, especially if you enjoy action films. Is it worth going to see in the theaters? I'd say yes ONLY if you're an action junkie. If you're not that big of an action fan, then you can wait for this to hit Netflix in the future. I'd probably only recommend watching this for the matinee price at the very most. The Good: Unlike other movies that take way too long to develop background stories and characters, this movie doesn't waste any time getting straight to the point. Within the first 20 minutes you're already at the parts you've been waiting for. 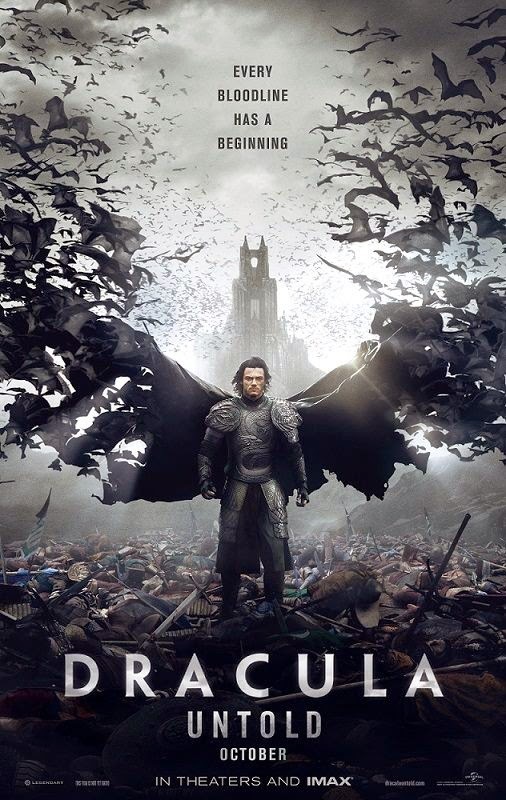 (Dracula's origin) It is nice to see a slightly different rendition of Dracula's story on the big screen, with a much more grounded sense to it. The introduction was actually very similar to that of 300, but with far less action. There are also some unique camera shots that do help the action scenes feel different and original. Luke Evans is believable and a nice actor. You'll probably only stay interested in the movie when he's on screen. The Bad: Despite starting off on a good foot, it just seems as though this movie feels very flat. The action is just OK, and the plot really isn't that interesting. (Besides how he becomes a Vampire) The commercials/trailers for the movie may be to blame here as well. There's very little that's left in the film that hasn't already been seen in the trailer. (Watch at your own discretion) Plus Dracula's powers could've been expanded and utilized much more. The Reason: If you were expecting a really cool vampire movie, you may have to wait for the potential sequel. It just seems like there was more that could've been done with the film. This isn't a horrible movie at all. It's a download/rental type of movie, so don't feel bad if you didn't see it when it first premiered. 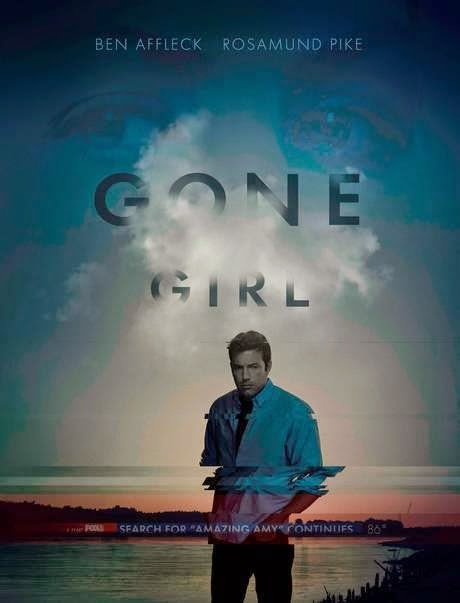 The Reason: I have not read the Gone Girl novel, but my guess is that this movie did it justice. If you were like me, and didn't want to give this movie a chance because of the trailer, then I ask that you reconsider. The trailer doesn't give a lot away, and it will surpass whatever you thought this movie was really about. I think that because this movie is kind of slow and long, it may be a better movie to watch in the comfort of your own home. But do not be mistaken, this is a really good quality movie to watch. Especially if you want something with a little more substance than the many comic-book action movies that have plagued the summer months. If you do plan on seeing it, see it as a matinee, use the restroom beforehand, and get plenty of popcorn. It'll be worth the watch. The Good: I've got to give it up to James Wan (who brought you the The Conjuring and Insidious) for being the master of horror. One of the best elements of this movie is how they can make you scare yourself. Without giving too much away, the things you THINK you should be scared of will be used against you. What you expect to happen, may or may not happen. Wan has mastered the ability to make certain scenes in the movie simply creep you out, and keep you in a state of suspense and high anticipation. (The Basement/Elevator scene will prove this) Lastly, the trailer is a bit misleading in regards to the real horror in the movie. The Bad: Be prepared for the stereotypical reactions from most scary movies. You know the type. After all the creepy things start happening around them, it's not until it's way too late that they actually think to themselves "Hmmm, I don't think this is normal"...or "I may need some help with this". Oh and don't forget the random running away from the scary thing, random trips, screams, and so on. When you get beyond your mild annoyance with that, Alfre Woodard's character seemed entirely way too convenient. You'll understand her purpose at the end of the movie, but it just seemed like a bit of lazy writing with the way she just randomly fits into the movie. The Reason: If you enjoyed watching the Conjuring or Insidious then consider this movie a minor step below. The Conjuring was much better, and this movie borrows a lot of the horror tactics from the Insidious movies. 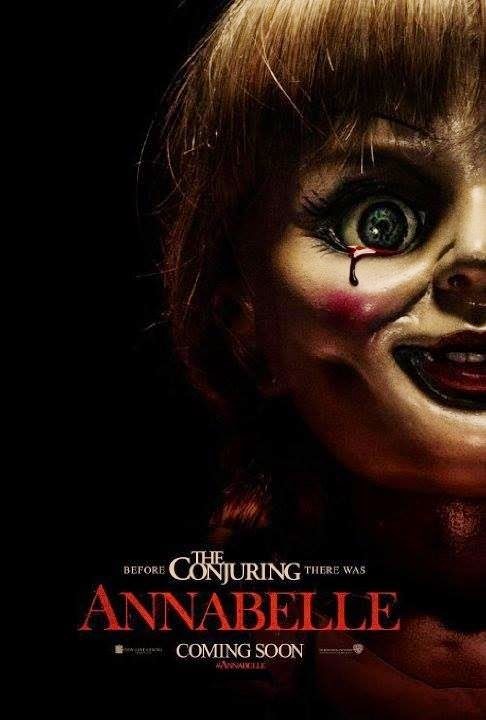 While this movie is a prequel to the Conjuring, it does a nice job of standing on it's own two feet. If you're looking for a nice horror film that will be filled with some "boo-ahhhh" moments, please check this out. I think this is theater worthy IF you're not afraid of scary movies...and a dirty doll. Oh and if possible, try NOT to watch the trailer. They give away some good parts that may have been scarier if you never saw the trailer.